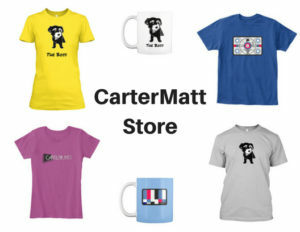 Welcome to CarterMatt’s Crime Dynamic Duos for 2019! The goal for this tournament is pretty easy to explain: Recognizing some of the best crimefighters in all of television. The word “crimefighter” can at times have a loose interpretation, but for the sake of this tournament we’re referring to it mostly as cops, lawyers, or investigators who do their best to take down some pretty-bad people and fight to help others. They’re the sort of characters you typically admire, and they have an aspirational quality to them along with them being entertaining. For today’s first battle, we’re focusing on two characters who are very much well-known within the CBS universe. One of them, in Danny & Baez from Blue Bloods, was just featured in a new episode earlier today. The other in Garcia & Alvez from Criminal Minds hasn’t been on TV in some time. Will recently bias win out, or can an underdog pair, whose relationship is certainly a little quirky and then some, rise to the occasion? We’re going to discuss all of that within this piece. 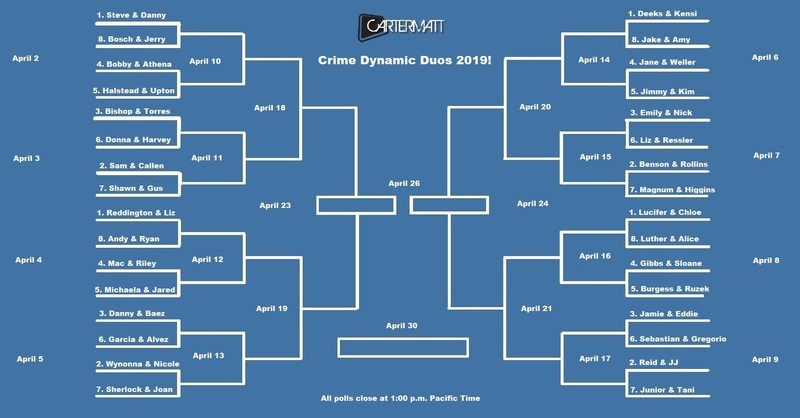 If you’ve been around for past editions of Crime Dynamic Duos, then you know a thing or two about how this works — at the bottom of this article is a poll to vote for who you want to see advance! One duo will, and at the end of the month, we’ll officially crown the champion in all of their glory. How voting works – Vote however often you would like! (Technical instructions for multiple voting can be found right above the poll.) We will keep this poll open until Saturday, April 13 at 1:00 p.m. Pacific time. The winner here will battle either Wynonna & Nicole from Wynonna Earp or Sherlock & Joan from Elementary, depending of course on whatever transpires within that particular round. We don’t want to focus, though, too much on that individual one here. You can see the full bracket (including start dates for each individual round) in the graphic at the top of this article. Danny & Baez, Blue Bloods (#3 seed) – Is there are a clearer example of a crime dynamic duo on this list? 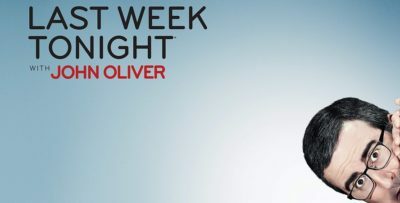 You’d be hard-pressed to find one, given that the two are detectives who routinely work together in order to take down some of the world’s biggest criminals. They’re not afraid to take on some the toughest foes in New York City and they are there for each other as partners as friends. They also spend a ton of time together per episode, even if Baez doesn’t get to grace the Reagan family dinner table. Do we know that there are some people out there who are hoping that they become something greater? Sure, but we also know that there are MANY others who are more than pleased with their relationship as-is. In our mind, what matters the most is that they continue to be a beacon for all great cop partnerships on TV. Garcia & Alvez, Criminal Minds (#6 seed) – These two are certainly more unorthodox. Yet, when you think about it, nothing that Luke or the rest of the BAU does would happen if Garcia were to suddenly go missing. She’s the eyes and ears, the person who provides the research and intel necessary for them to go wheels up and take down the bad guys. So why include Alvez rather than someone like Prentiss, JJ, or Reid? Much of it has to do with the specific relationship that exists here. While Garcia and Luke started off with a contentious and tough relationship, over time some of that ice is thawed and we’re left with a rapport that is funny, endearing, and different from something you’d see virtually anywhere else on the show. There are certainly people now ‘shipping them, just like there are people with Danny & Baez. Be sure to vote for who you want to see advance below! I can’t see the poll; what do I do? – If you are on mobile, scroll to the bottom of the page and click to view the non-AMP version. If that does not work, give the poll a moment to load! On some mobile browsers, it may take a moment. How can I vote more than once? – Just refresh the page! If you are having trouble casting multiple votes, try switching your browser, your device, or visiting the page under private browsing or incognito mode. There should be many handy guides online explaining how to do so if interested.